Today I was visiting so called 'Latvian preschools' whose building project I was coordinating in 2006. Two buildings were built by donations of the people of Latvia in 2006 as a tsunami relief activity. 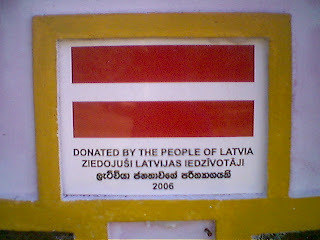 In pictures: signboard on the wall of 'Pubudu' preschool with the flag of Latvia in Sooriyawewa and teacher U.J.Premalathe by 'Kokulu Pera Pasala' school building in Andraweva. 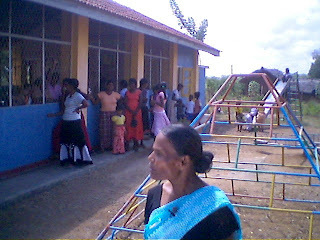 Everything is fine with those schools as I visited them for the 1st time since opening in 2006.